Cherokee County is blessed with many food-producing farms and gardens, thanks to the abundance of undeveloped land (for the moment!). Some farmers raise beef cattle, goats, chickens for eggs or meat, as well as animal feed crops, such as hay or corn. Others specialize in a variety of vegetables and fruits that grow well in this part of Georgia. Methods of farming vary in our county. Some farmers prefer to use conventional fertilizers, pesticides or herbicides, while others rather would use organically permitted inputs (OMRI). Other farmers use little or none of that, and are classified as certified natural. Some farms work on more stringent levels of inputs, using permaculture as a growing method. As for genetically modified organisms (GMOs), there are not many of those types of crops grown in Georgia. The only GMO crops commercially available in the United States are soybeans, corn (both field and sweet), cotton, summer squash, alfalfa, canola, sugar beets and papaya. Of those, the first four are the most common in Cherokee County, and are likely to be grown by large-scale farm operations. Seeds treated with pesticides and fungicides are common in our area, because of the humid climate. Grasses, corn, clovers and other cover crops may be treated. Check with your farmer about the use of GMOs or treated seeds. As farmers and caretakers of the land, we prefer to use minimal sprays and inputs for pests and disease control. However, depending on the weather and type of pest or disease, it may be necessary to treat crops in order to save them. When you are shopping at a local market, you can ask the farmer what methods he or she uses. Most farmers at markets are happy to explain exactly how they grow their crops, if they aren’t too busy. It’s good to find out how your food is produced, and your local farmers market is a great place to learn. Take time to visit one or more of the wonderful markets here in Cherokee County this season. – Liz and Randall Porter operate Buckeye Creek Farm, growing produce for restaurants. 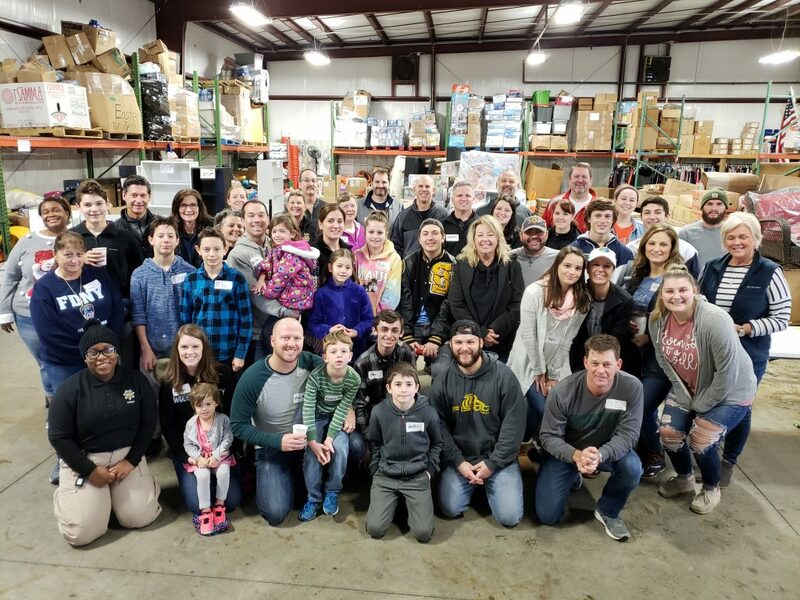 Volunteers who participated in the Christmas food box giveaway. Each box was filled with fresh vegetables and fruits. A Canton-based nonprofit, SERV International, is taking its passion for feeding families around the world and focusing on a local effort to get fresh foods into more homes. 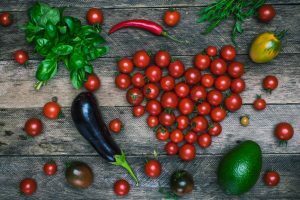 The project, called SERV Food Local, offers a $40 box filled with an estimated $60 to $80 worth of fresh fruit and vegetables from farmers markets to feed a family for a week. People can donate boxes to families in need, or buy for themselves, their families or friends. Boxes, which carry different fruits and vegetables every month, can be ordered online. Pick up locations are the SERV Store, at 3245 Marietta Highway, Canton, or Hickory Flat United Methodist Church, 4056 E. Cherokee Drive, Canton. SERV is looking for partners in businesses, churches and individuals to support the local food initiative, SERV founder Steve Kasha said. The ministry has established relationships in local neighborhoods, and plans to continue to provide those residents with food boxes. 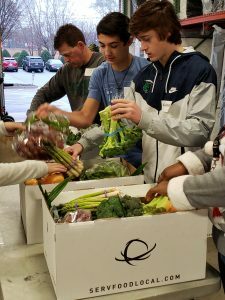 “We want to be that giving outlet for companies and churches and individuals to reach the community, and make a difference by donating fresh fruits and vegetables to people in need,” he said. www.servone.org, and go to Volunteer at the bottom of the home page. 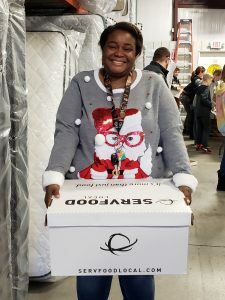 A cheerful volunteer with a box for a special family. 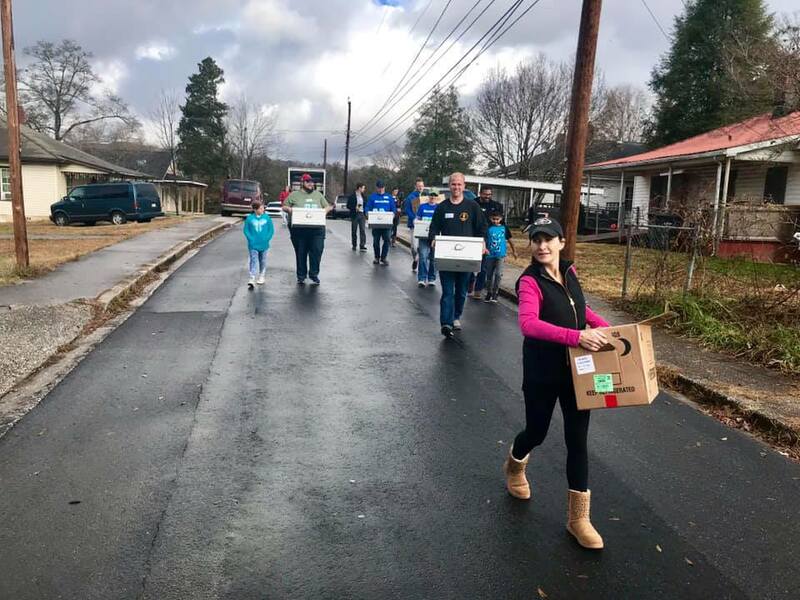 During the 2018 holiday season, SERV partnered with Revolution Church, Never Alone, the Cherokee County Sheriff’s Office, the House of Hope, Cherokee Veterans, Hickory Flat United Methodist Church and the Cherokee Family Violence Center, to package and distribute more than 350 boxes to families in need. More than 100 volunteers and ministry partners were involved in the project. Kasha began SERV in 2000; the ministry provides meals that cost 8 cents each and consist of dehydrated vegetables and nutrients that vary with the areas where they are served. Frequent distribution sites are in Kenya, eastern Africa, Cambodia and the Dominican Republic. In addition to food, the nonprofit builds water wells and distributes water filtration devices to provide clean water to those that need it. A facility in northern Kenya, called the House of Hope, provides children a safe shelter, food and water, education and vocational training. SERV also works with at-risk children in Cambodia to support their education. The charity supports churches in the communities they serve, often organizing service-oriented short-term mission trips. SERV’s headquarters are located at 3145 Marietta Highway in Canton, next to the SERV Store. 770-516-1108. www.servone.org. Teams of volunteers went door to door, delivering food boxes at Christmas. Cannon Park, 130 E. Main St.